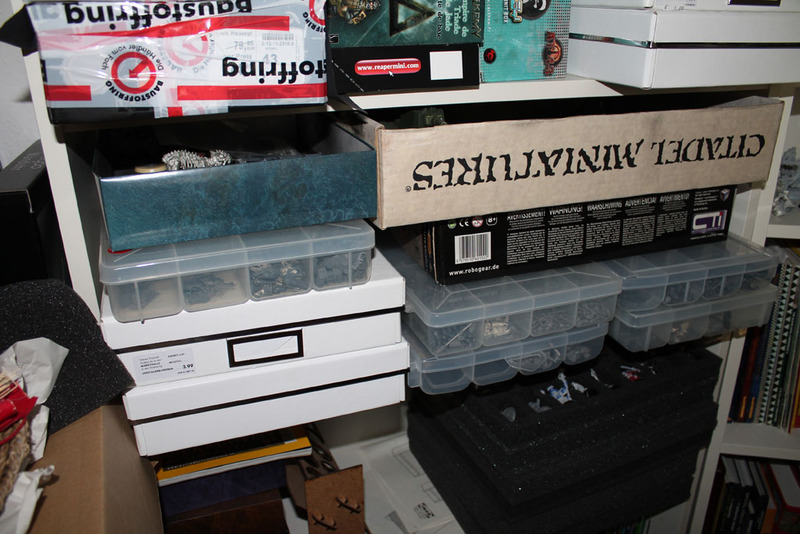 A classic problem to wargamers / miniature collectors is the waste of space. The shelves are usually much higher than they need to be be. 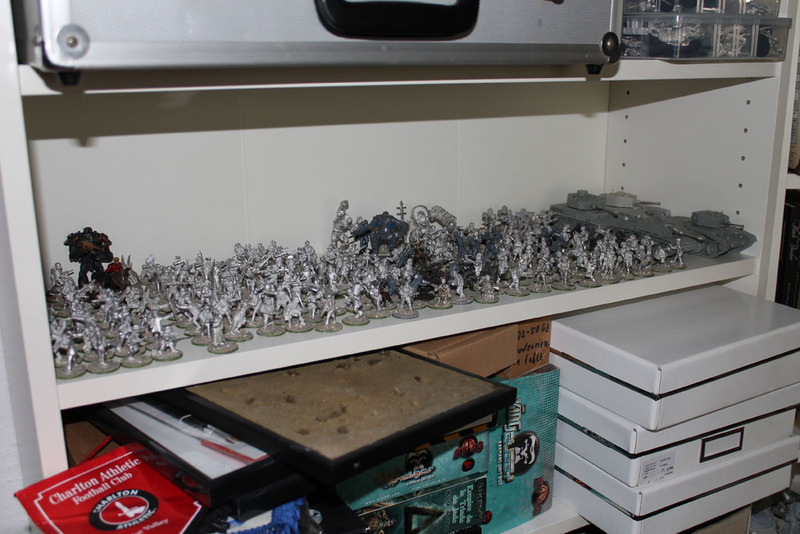 You can see it on the example of this shelf board filled with my bolt action miniatures. And a shelf has a much higher potencial, as you seen in the filled to the last spot one over here. I was thinking about a proper solution. So i got myself some more organizers from the do-it-yourself store. 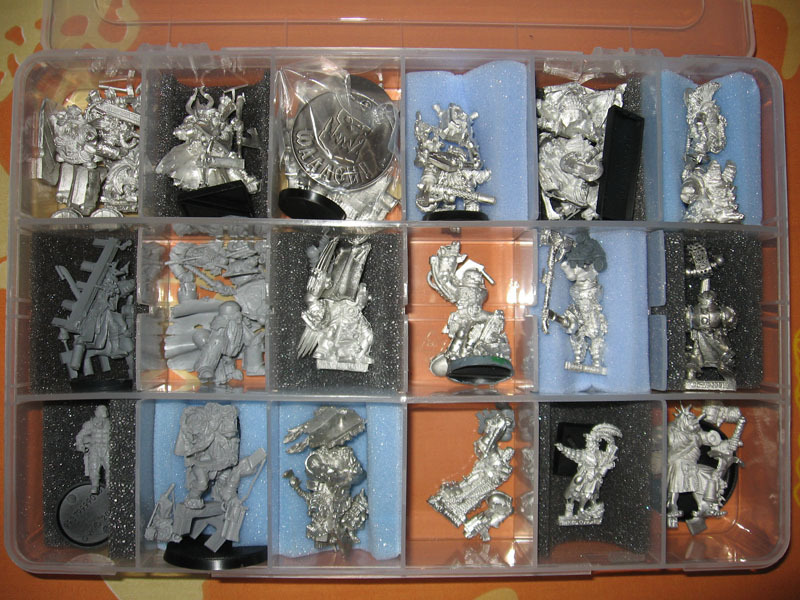 They are rather cheap, 5 euros per piece and you can get quite a load of stuff in them. I was looking to get them online, but the best source is the do-it-yourself store. If you take a look at the picture below, you see the huge amount of space that is properly used. 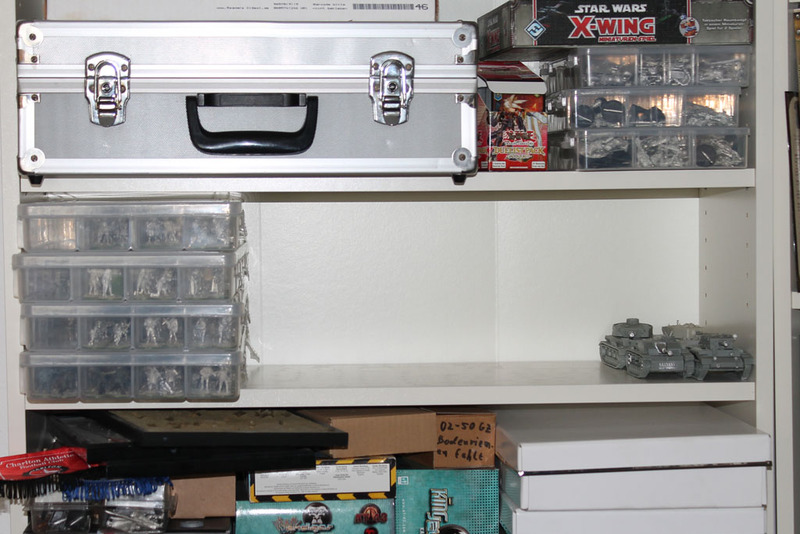 Now every shelf can carry about 4 times the amount of miniatures than before. Its nothing for display purposes, but for that you´d rather use a real cabinet. And another advante, no dusting. And they are great for ongoing projects or precious stuff, like my limited miniatures. For those i have these half size boxes. But i should take a another picture, which is more up to date, as there has been a little bit of growth on that side.